Bed Bug Treatment activity has reached epidemic levels in many parts of the country. Female Bedbugs as shown above can lay up to five eggs per day and nearly 600 in her lifetime! Prolific travel both internationally and abroad has made it easy for these nocturnal parasites to once again thrive. Bed Bugs have amazing biology aspects and an uncanny will to survive. Pest treatments have become less effective due to increasing resistance and overwhelming reproduction rates. Bugs move from room to room in hotels and apartments with ease sneaking under doors or in carried items. bed Bugs are hypersensitive to carbon dioxide (your breath) and can track you for several hundred feet including from room to room in a large house. They are able to tell how fast you are breathing and wait until your deeply asleep before emerging. Here’s a little present for you! An adult Bed Bug can last up to 11 months without a blood meal. Once gravid (pregnant) female can kick off a massive infestation within just a few months. 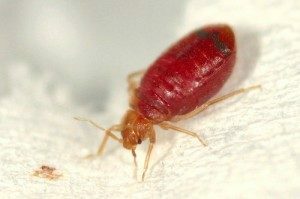 Bed Bugs spread in moving trucks, schools, and retail store changing rooms. Finding out where they came from is just the first of many important steps needed for long lasting relief. Heat Treatment kills Bed Bugs. This method requires using high efficiency professional heaters to bring the temperature in the treatment areas over 130 degrees . This will ensure complete control of live bed bugs and bedbug eggs. Heat treatments damage things that melts. The equipment needed to do this is very expensive and local pest control companies charge quite a premium to recover their up-front equipment costs. This method is the best “green” treatment for bed bugs because it does not use any pesticide at all, but leaves no lasting protection. 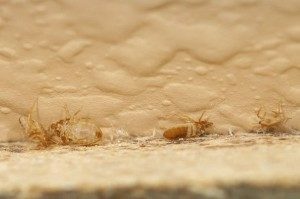 Tent Fumigation for Bed Bugs – This method is very intrusive yet I would list it as the most effective bedbug treatment available. Fumigation is done like a Drywood Termite treatment except more fumigant gas is needed to kill all the bed bugs and their eggs. The whole house is wrapped in a giant tent (tarps that are clamped together) and fumigant gas is introduced to the structure using a pressurized cylinder. This type of treatment usually takes at least three days and you cannot be in the house until the process ends. Preparation for a fume include removing all living things like plants and pets in advance (fish, birds, etc.). All open food will also need to placed in special bags which are impervious to gas penetration. After a few days of the fume doing its thing, the house is “cleared” (tested for near total dissipation of the fumigant gas) by a technician in a scuba suit, and there will be no residual pesticide left in the house. Tent fumigation is the only treatment I would ever say is always 100% effective. 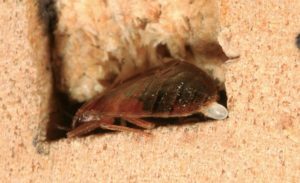 Conventional Bed Bug Treatment using Sprays and Dusts – This method is more tedious and requires pest control technicians to be extremely thorough. Often beds, dressers, and other bedroom items need to be disassembled and checked or treated. Bed Bugs can get all the way up into areas you would never expect, including around threads of screws. Couches, chairs, and other human resting places get infested with bed bugs as well. 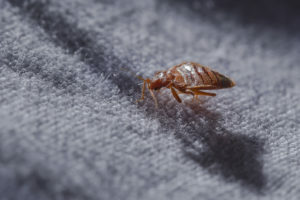 Depending on the size of the infestation, most likely more than one treatment is needed to completely eradicate Bed Bugs. Therefore local pest control companies typically charge based on time needed per treated room for Bed Bug Control. Unfortunately, many strains of bed bugs have become resistant to common professional pesticides now in use. DDT was able to almost completely eliminate bed bugs in the early part of the twentieth century. Unfortunately, scare tactics and unsound science are leading to additional product bans now focused on Pyrethroid and Neonicotinoid active ingredients which can be very effective for Bed Bug Control. We have highly trained staff that can locate and eradicate bedbugs quickly and effectively. Our family business prides itself on providing first class customer experiences. Call or text today to order a Bed Bug inspection or estimate (941) 405-3080. Also, find out more about our roach exterminators! ©2017 Johnny Bugs. All Rights Reserved.